When it comes to family mediation, custody and contact, most parents do not want to compromise. They want the best for their children; it’s understandable. 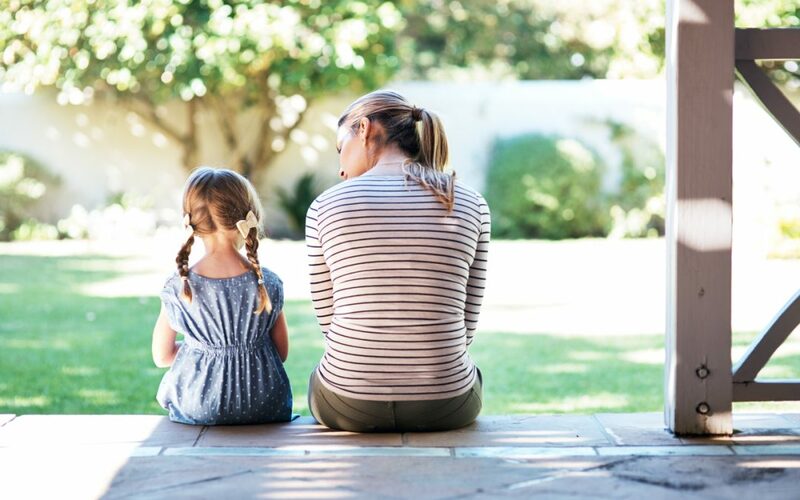 In my experience, as a children solicitor, parents often think that there is only one “best” when it comes to sorting out custody and contact arrangements after a separation. That can make it tough to sort out the childcare arrangements quickly and amicably. Family solicitors do not enjoy a great reputation. As a children solicitor, I think it is best to be upfront and acknowledge that. The poor reputation of the legal profession, and particularly family solicitors, is down to the belief that families are pushed into starting expensive and unnecessary court cases. So are any children and family solicitors different? I like to think so. For a start, I will tell a parent if I think family mediation is a good option to sort out custody and contact. If mediation works, there is no need for court proceedings and that is the best thing for the children and the family. An urgent issue requires a court decision. For example, one parent believes that a child should have an operation but the other parent objects. Although mediation can be successful in this type of scenario, it all depends on the degree of urgency. Most parents think either you go to court to sort out custody or contact your mediator. It is not that straight forward. You can start court proceedings and the court can say that you should try mediation. Alternatively, once some parents experience the first initial court hearing they want to try mediation to sort out the parenting arrangements. Normally a court will agree to adjourn a court application for family mediation to take place. Your children will be the focus of mediation. Some parents think that older children should be involved in mediation sessions. Some mediators are qualified to work with children. If you both want your child to be involved in family mediation sessions then you should carefully consider the choice of mediator. Even if a child is not directly involved in the mediation sessions, a mediator will ensure that the voice of your child is heard. Tips for making children mediation over custody a success. Here are my top tips for making children mediation a success. Some of these tips are obvious, but when emotions are running high it is easy to forget them. The mediator will encourage you to approach the mediation by looking at what is in your child’s best interests. You may want an equal split of time and shared custody. Is that in your child’s interests if you live a long way from your ex-partner and you work some weekends? You may not want your ex-partner to go to the school play but is that more about your feelings than your child’s feelings? It may bug you that a parent is always 20 minutes late when collecting the child. If you explain how the child is waiting, bags at the door, perhaps the parent will better understand why punctuality is important to you. It is hard not to be emotional and to think of what you want in mediation but if you are both able to focus on what is best for the child then mediation is more likely to be successful. As a children solicitor, I am often told about a parent’s negative traits. A mother may say that a father is unreliable, will cancel contact at the last minute, sits the children in front of the television or fills them with pizza and exhausts them at theme parks. A father may say that a mother is too controlling, that she dictates what the children wear, gives directions on the food and activites he can enjoy with the children and questions if the children have really enjoyed their time with their dad. In mediation, it is important to focus on the positive. Maybe mum is a bit anxious about safety and diet, but do the children return happy from spending time with their dad? If parents understand, about how the other feels and a focus on the positive aspects of the other’s parenting they are more likely to reach an agreement in family mediation. Does it matter to you if your child has a contact visit on Tuesday or a Wednesday or if the return time on a Saturday is 4pm or 5pm? There may be good reasons why you object to a specific arrangement but, if there is not, be flexible. After all, most parents find that with the passage of time parenting arrangements become more flexible to work around parents’ work patterns or a child’s sporting or social activities. Furthermore, if you apply to the court for a child arrangements order, setting out the custody and contact arrangements, courts are often not keen to go into too much detail in court orders. Alternatively, the judge might impose an arrangement on you that you really do not like. Most parents do not want to take legal advice over a parenting arrangements because they do not want to be told to start court proceeding for a child arrangements order. Then if mediation fails, they consult a solicitor asking them to start a children court case. From the point of view of an experienced children solicitor, it is better for parents to take advice before and while they are going to mediation. That way they know what their legal options are, what court orders a judge would be likely to make it court proceeding were started, and the costs of a court case. Armed with all that information, a parent is more likely to feel empowered to reach an agreement in mediation. Ultimately, that saves money by avoiding contested court proceedings. It is important to be realistic; mediation does not work for everyone, but it is worth giving it the best shot by being open to mediation and by being willing to explore parenting arrangements that may be a compromise between parenting styles and wishes in order the path forward that is best for your children.